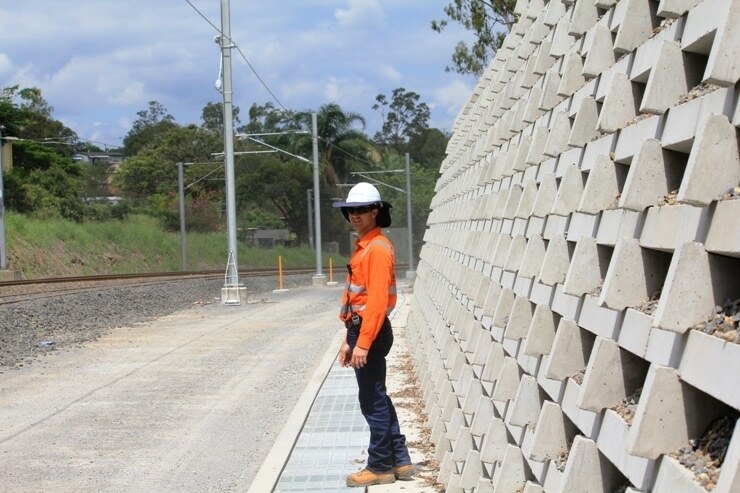 Abergeldie was contracted by Queensland Rail to install retaining wall along the rail corridor at various sites located between Keperra and Ferny Grove, North of Brisbane on the Ferny Grove Line. 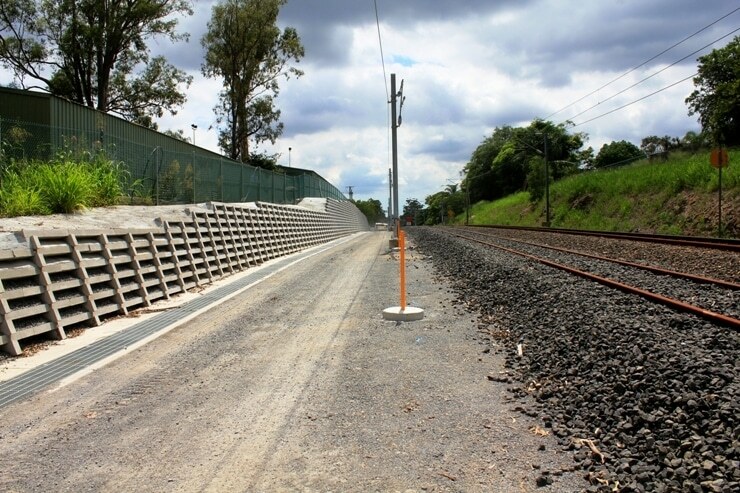 There were five individual work areas spanning 1.5 kms and on both sides of the tracks. The programme was very tight. 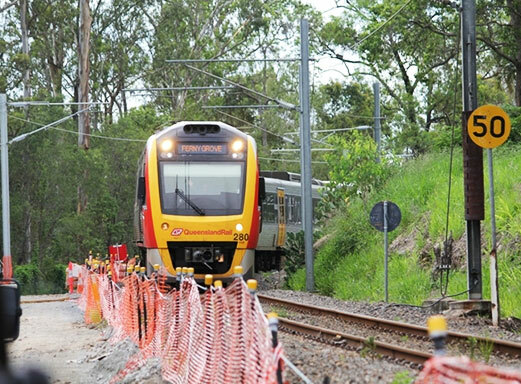 Abergeldie worked closely with QR regarding environmental controls and access along the Rail corridor. The corridor was rarely able to be closed from train traffic and was bounded by residential areas and an operational Golf course. Many design changes were required due to site constraints. Methodology / risks to Retaining wall 7 changed regarding site constraints, there was no opportunity to utilise a purpose built piling rig so Abergeldie developed procedures to use a 12 tonne auger mounted excavator with rock drilling attachments to drill in-situ poured piles. Retaining walls 5 and 6 were hampered by latent conditions and a running causeway. Abergeldie worked closely with QR and the Golf Course as stakeholders to minimise delays and provide input into workable design. 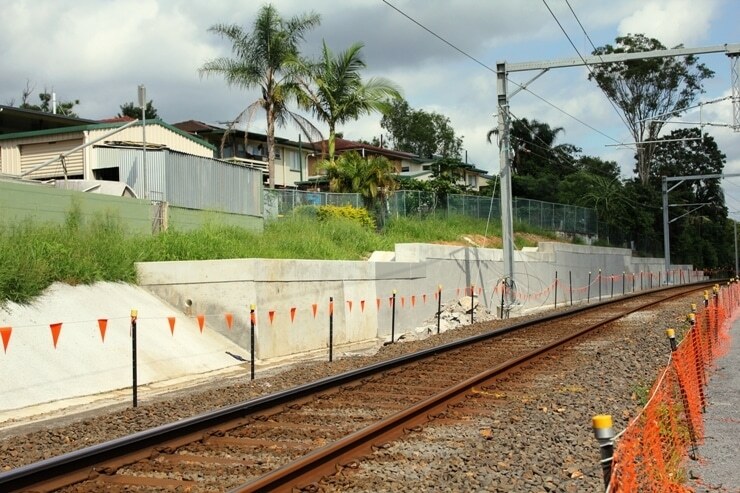 The program was adjusted many times through the project with consideration of Queensland Rail’s need to hand over in line of their overall project plan.